On Wednesday at 4 p.m. 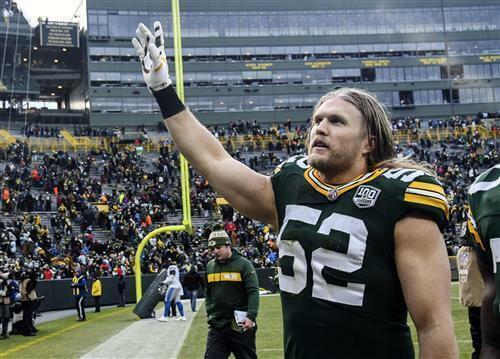 ET Clay Matthews became a free agent. This doesn't mean he won't be back with the Green Bay Packers in 2019, but there's a good chance he could be with another NFL team in the fall. And it looks like NFL teams want Matthews on their roster. According to Mike Garafolo of the NFL Network, teams are interested in signing Matthews who spent his last 10 seasons in Green Bay. "I am told he does have 'significant interest,'" Garafolo said during a video hit on the NFL Network. "At this point in his career, does he want to play close to home in Californa? Does he want to go to a place that has a chance to win the Super Bowl? The answer to these questions is yes, and obviously, he wants some significant financial compensation as well." Garafolo also said the reason Matthews hasn't signed a deal yet is him and his wife just had their third child 10 days ago, so he's been talking to teams while not leaving the family. Garofolo expected to hear more developments on Matthews in the next couple of days. What Matthews will be remembered for in 2018 was what he did in the early stages of the season. In his first three games, Matthews was called for three roughing the passer penalties and one of those penalties changed the outcome of the game.